Filipinos based abroad can now start casting their votes in Philippine embassies worldwide. 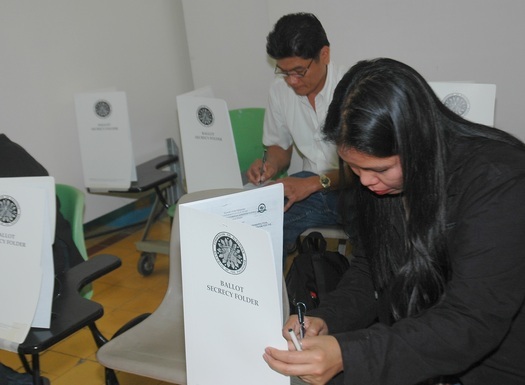 The overseas absentee voting (OAV) period starts today, April 9, and will end on May 9. The COMELEC is encouraging Filipinos overseas to take advantage of the month-long schedule for OAV, emphasizing the importance of the national elections in the future of the nation. So far, over 1.37 million Filipinos have registered for overseas voting, according to the data provided by Commissioner Arthur Lim, head of the COMELEC's Office for Overseas Voting, to Manila Bulletin. The poll body is targeting a high voter turnout of 80%. In the past elections, overseas voting had very low turnouts, with only 26% in 2010, and 16% in 2011, according to Manila Bulletin. Overseas voters can only vote for President, Vice President, senators, and party list groups. They can cast their votes via personal manual voting, vote counting machines and through postal manual voting system. 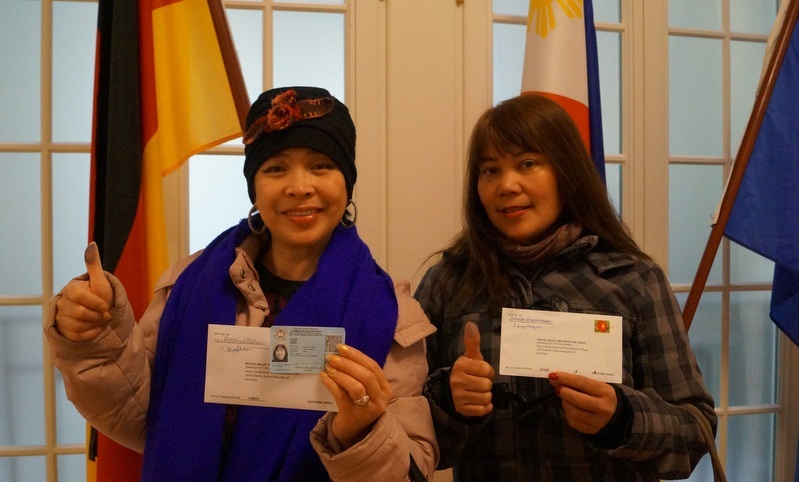 Of the 85 Philippine embassies worldwide, 82 will be able to partcipate in the OAV. Philippine embassies in critical areas like Baghdad, Damascus, and Tripoli will not be included. But Filipinos in these conflict-ridden areas can vote in adjacent Philippine posts. Voting will start at 8 A.M. in the host country's time and will end at 7 P.M. Philippine time.